The 20th Century gave humanity some of the greatest advances in civilization the world has ever seen. Farming is now productive enough to support a population that has quadrupled since 1900. We learned to fly and have now left the confines of our solar system. The Model T entered the market in 1908 and soon the whole world was behind the wheel. The automotive industry has continued innovating ever since. There are over one billion vehicles currently on the roads. The global industry is on track to produce 81.5 million units in 2018, up from 79 million in 2017. The boundless quantity of materials necessary and the vast supply chain to deliver them to the factories is mind-boggling. Manufacturers are acutely aware that the automobile’s benefit is being consumed by the unintended products of its production and use, and the waste products of the oil and gas industry that fuels it. But it’s not all doom and gloom. Humanity loves a challenge, and the auto industry’s best and brightest are tackling the problems head on. The variety and innovation of the solutions inspires hope for the future. Some may bring challenges of their own, but we as a society and as an industry are looking forward now and trying to solve the problems before they even occur. These are many green car solutions on the road today, such as electric vehicles (EVs), hydrogen fuel cells, car sharing, and more besides. Let’s look at the way these options are used today, their challenges, and what is planned for tomorrow. The sight of a Car2Go, ZipCar, or other car sharing service is a common sight in most large American cities. Using the system couldn’t be easier: find a nearby car with a phone app, book it, and go. When the ride is over, leave the car in an approved space and just walk away. The benefits are enormous. The initial outlay to use the service is often nominal, as little as five to fifteen dollars in many cases. Billing is automatic, and rates can be less than 50 cents a minute, a price that includes fuel and insurance. 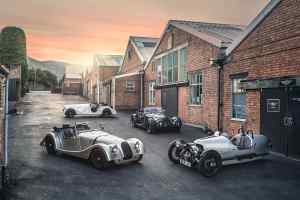 A variety of cars are often available to meet individual needs, be it a quick trip to the shops or lugging back an antique sideboard from the farmers’ market. 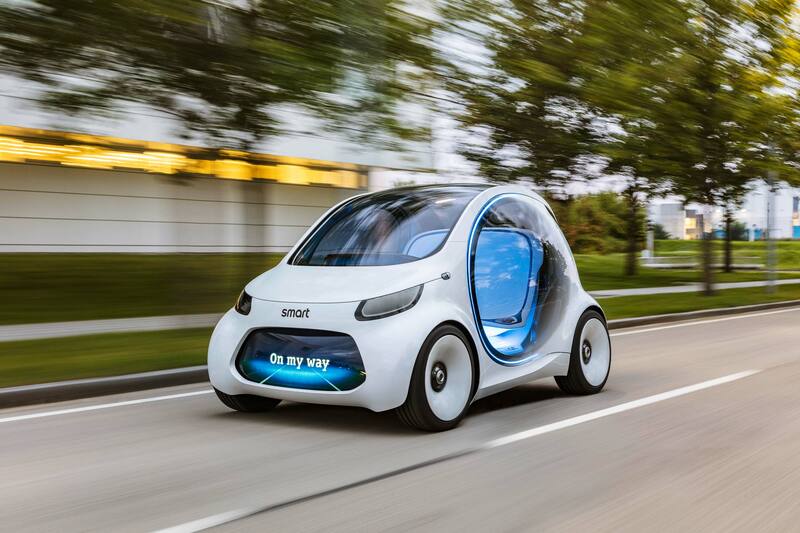 The trademark Smart car of Car2Go is no accident: Mercedes owns both (other cars in the fleet include the Mercedes-Benz A-Class, B-Class, and GLC-Class). In the future, Car2Go wants to take advantage of autonomous technology to make the service even simpler. The vision EQ fortwo (their caps-lock appears to be selective) is an electric vehicle that comes when you call it and goes away when you’re through, eliminating the need for a trip to the car share lot down the block. There are currently almost 8 million car sharing customers, and that number is expected to nearly quintuple by 2025. Autonomous vehicles remove the need for dedicated lots near population centers and points of interest. There will always be a car when needed, as the vehicles will be programmed to return to and “hover” in busy areas at busy times. The vehicles are fully electric, and will be able to find their own way to a charging point when needed. The ultra-compact Toyota i-Road is more than just adorable; it’s a rational peek into the future of personal urban transport, and has been tested in Tokyo, San Francisco, and Grenoble, France, among other places. The three-wheeler is a featherweight 650 pounds and just under 36 inches wide, yet will seat two in tandem. In operation, the vehicle leans itself like a motorcycle through turns. The left and right front wheels move up and down independently in response to driver input. Other than the lean (which is wicked fun) the vehicle has the stability and weather protection of a car. As part of an urban transportation system, the i-Road is an excellent car share vehicle. Its small size reduces congestion and frees up parking spaces. It’s all electric, quiet, and fun enough to get people out of their personal vehicles. Commuters can use it from the train or bus station to get the last mile home. Errands can be quickly run without the need to fire up the SUV. While we’re not holding our breath waiting for this one to go into mass production, we do hope testing continues and more i-Roads will be seen on public roads. Or at least that we can test drive one for a week. 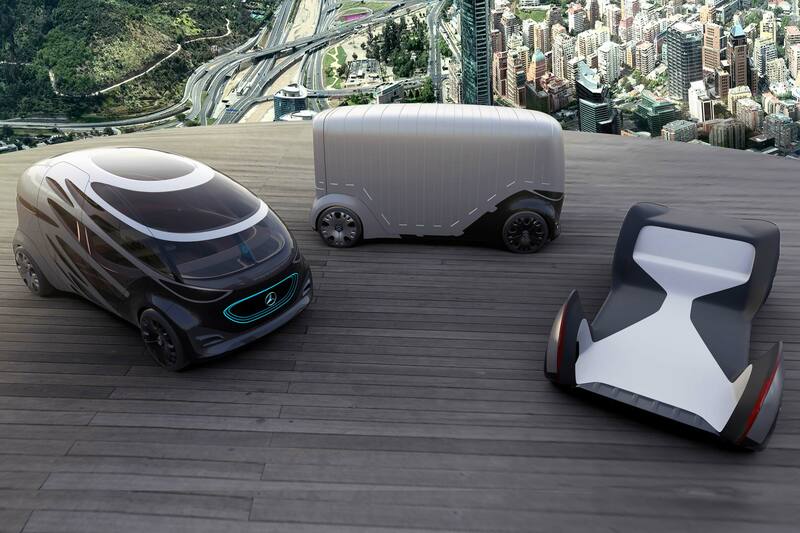 Mercedes’ Vision Urbanetic concept is envisioned as part of a holistic transportation solution. The chassis (shown on the right) contains the batteries and drive unit. Two switchable bodies can be fit on the chassis. For ride-sharing duty, the Urbanetic can accommodate up to 12 passengers. As a cargo vehicle, the module will carry up to ten pallets. 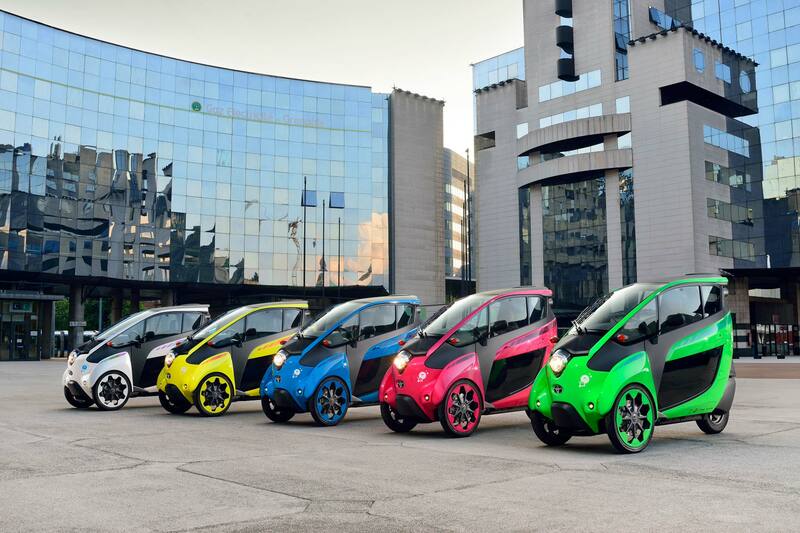 Like the Smart Car2Go concept, Urbanetic will analyze supply and demand in real time for a defined area. Full networking will allow the analysis of local information, allowing the fleet to optimize service for concerts, sports, and other events. Machine learning will optimize the process and be able to anticipate and react to future needs. As a networked autonomous vehicle, Urbanetic can optimize delivery routes. Alternate delivery routes based upon anticipated traffic can be used, and congestion can be avoided altogether. Being driverless, the vehicle can run all night while humans sleep and the roads are empty. The chassis, which contains all driving systems, can be disconnected when it’s time to switch jobs or recharge. Optimizing the number of each unit—chassis, passenger module, and cargo module—will be a logistician’s dream. Hydrogen fuel cells are nothing new; crude models appeared in London science journals as early as 1838, though a practical model wasn’t demonstrated until 1959. The systems quickly found use in small vehicles and then, most famously, the nascent space program. Modern systems are fairly straightforward. Pressurized hydrogen gas is pushed through a special membrane. The membrane acts as a catalyst, stipping off electrons from the hydrogen atoms as they pass through. The free electrons are then sent away to run the motor and other electrical systems before returning. Once everybody is on the other side of the system, the lonely hydrogen atoms and free electrons mix with oxygen from the open air creating good ol’ dihydrogen monoxide, a.k.a. oxidane, a.k.a. water. The advantage of a fuel cell over a battery to power a vehicle is the “recharge” time. When a battery is depleted, it will take at least 20 minutes or more at a supercharging station to reach 50 percent capacity, at at least 75 minutes to fill. A vehicular hydrogen tank can be refilled in about five minutes, the same time as a gasoline-powered vehicle. Elon Musk famously said that fuel cells were an “incredibly dumb” idea, and here’s why: it takes electricity to make hydrogen gas from water. Then that gas has to be compressed, transported, and distributed, using even more power. At each stage, some power is lost to inefficiency, the “angel’s share” as they say in bourbon making, down to the fuel cell and drivetrain itself. The current estimate is that for every 100 watts that leaves the power plant, only 23 are left to drive the wheels of a hydrogen fuel cell vehicle. A battery vehicle, charging directly from power lines, will be able to use 69 of the 100 watts. Still, manufacturers are investing heavily in fuel cells. The thinking is that consumers will prefer to fill a tank quickly and then move on rather than wait idle for half an hour. Then there’s the battery dilemma, which we will come to shortly. Over fifty years ago, General Motors transferred fuel cell technology developed for the moon landing to the wheels of a GMC Handivan, creating the world’s first hydrogen-powered vehicle. The Union Carbide fuel cell unit was huge, and the complete propulsion system added about two tons to the weight of the donor vehicle. In addition to tanks for supercooled liquid hydrogen and liquid oxygen, there was 550 feet of piping. Range was 120 miles, top speed was 63-70 mph, and it took 30 seconds to hit 60. Nonetheless, it worked. While the goal of the Electrovan was to produce a vehicle that could compete with the internal combustion engine in terms of range and performance, GM knew that the fuel was too expensive to be commercially viable. Even without hydrogen and oxygen, just the platinum alone used in the fuel cell alone could pay for “a whole fleet” of stock Handivans. GM did not stop hydrogen vehicle research with the 1966 Electrovan. In 2007, the company launched Project Driveway and has since accumulated over three million miles of hydrogen fuel cell testing. 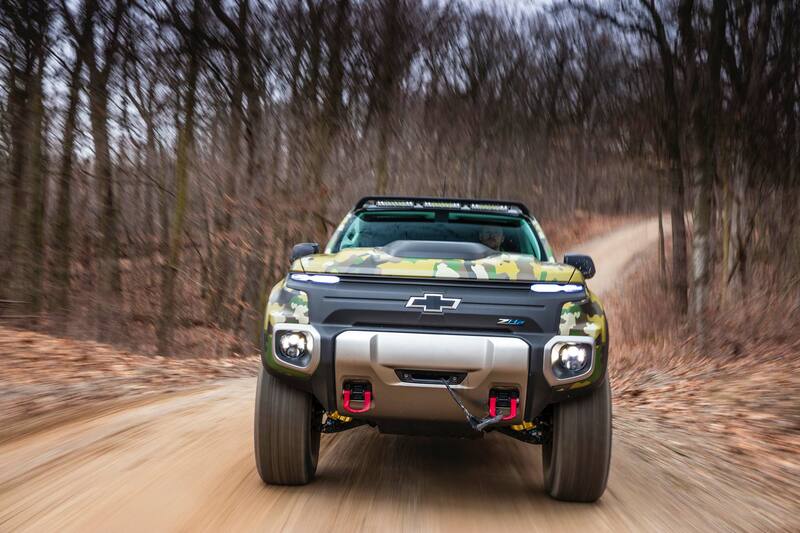 The most extreme GM fuel cell vehicle is the Chevrolet Colorado ZH2. built on a stretched midsize truck chassis. It’s more than six and a half feet tall, and over eleven feet wide, and rides on 37-inch tires. Modified suspension helps the truck crawl over and descend rough terrain, aided by high wheel torque from electric drive. A power takeoff unit allows the fuel cell to power activities away from the vehicle in situations where electricity is otherwise absent. Operation is nearly silent, and the only byproduct is water. The vehicle is currently undergoing a year of U.S. Army testing to determine the viability of hydrogen-powered vehicles for military use. Civilians have access to hydrogen technology, too—at least in California. 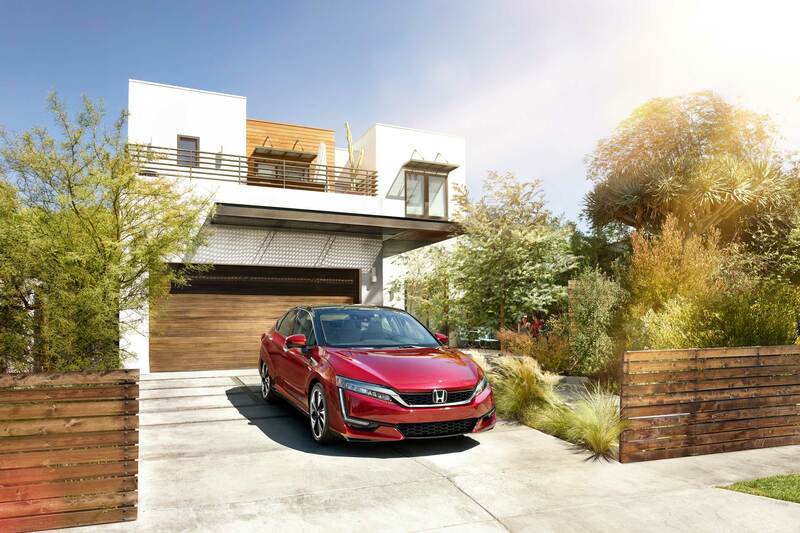 Residents of the Golden State can drive a Honda Clarity Fuel Cell vehicle off the lot for just $369 per month on a 36-month lease. While the five-seater looks futuristic, it has all the conveniences of a modern vehicle, like dual-zone climate control, eight-inch touchscreen infotainment and navigation, smartphone integration, and power heated leather seats. Other than the drivetrain, the only remarkable thing about it is how well-equipped it is for the price. 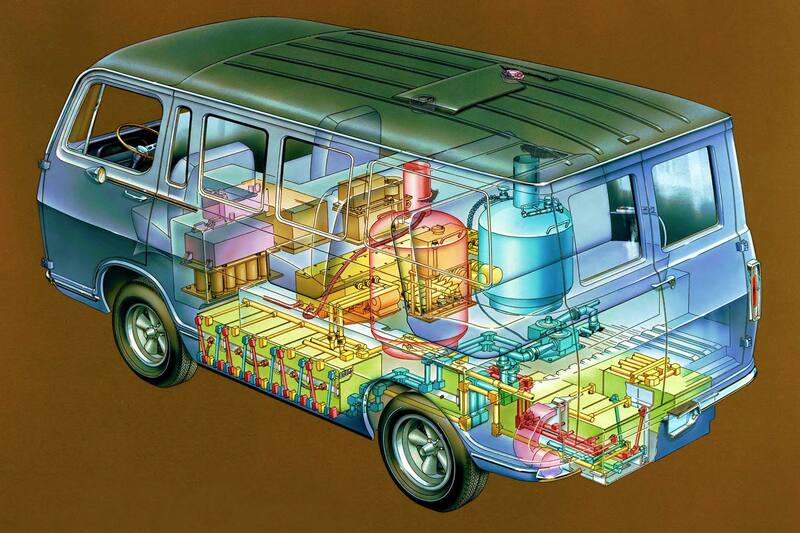 Unlike the 1966 GM Electrovan, modern fuel cell vehicles run off ambient oxygen and pressurized hydrogen. California has 33 hydrogen fueling stations open so far, with funding in place for 100. Topping the Clarity tank takes about five minutes and is as safe a filling up a gasoline vehicle. Total range is 366 miles. Hydrogen currently costs around $14 kilogram, equivalent on an a price to energy basis of about $5.60 per gallon of gasoline. While expensive, many manufacturers include fuel with lease. Honda, for example, is offering up to $15,000 in hydrogen with the Clarity. Seriously: deal of the century. 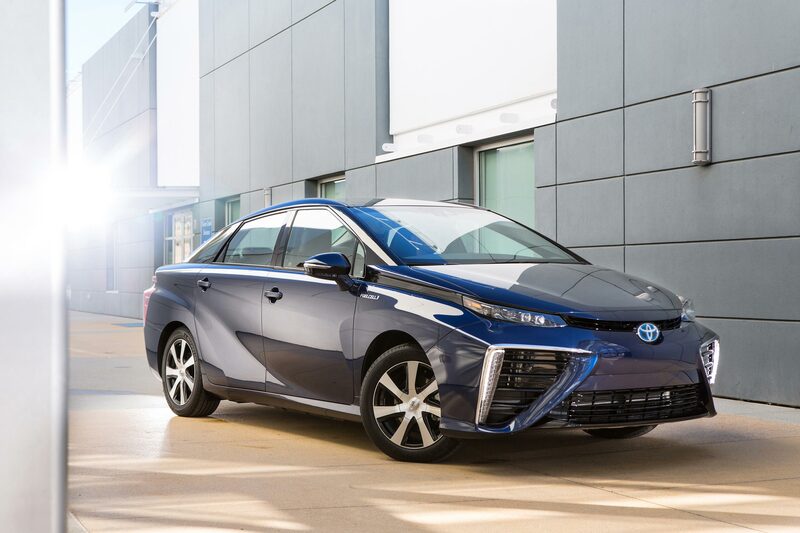 Over 4,000 Toyota Mirai have been sold so far, making it the most common hydrogen-powered vehicle in the United States. To keep up with demand, fueling stations are opening up across the country. 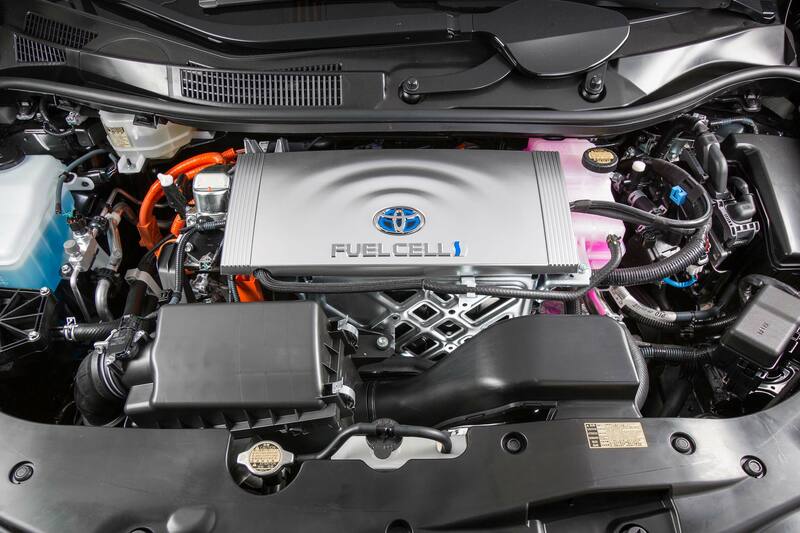 Toyota is partnered with FirstElement Fuels and Shell to support the expansion of hydrogen infrastructure in California, and with Air Liquide to set up 12 more stations from New York to Boston. A public station opened up at a flagship Toyota dealership in Mapunapuna, Oahu in July. While there may not be many hydrogen filling stations yet, the fact that they are there at all is encouraging to proponents of the clean fuel. For example, in 2008, there were only 430 electric vehicle charging stations in the U.S. The number currently stands just under 23,000 and is growing by the day. Like the Clarity, the Mirai is, for all intents and purposes, a normal car. It has advanced safety systems like dynamic cruise control and lane departure alert, automatic climate control, and steering wheel mounted controls for the infotainment system. Leases start at just $349 per month (California only). Though EVs themselves produce no tailpipe emissions, the source of electricity that charges their batteries might. In the U.S., 30 percent of power is generated by burning coal, which has to be first mined and then transported to the plant. “Clean coal,” as it’s called, has many proponents and detractors, but the fact remains that the total number of plants in operation that use the technology is one. In all, 63 percent of American energy is produced by burning fossil fuels. Twenty percent is from nuclear power. The other 17 percent is from renewable sources, 7.5 percent of which is hydropower. In essence, the majority of EVs are powered by coal, nukes, or salmon habitat. Pick your poison. The punchline is that how clean an EV is varies by region. California loves renewable energy, so EVs are responsible for fewer greenhouse gas emissions than a hybrid vehicle. Minnesota is largely coal-fired, so a hybrid would actually be a more environmentally-sensitive choice. The situation applies globally. Countries like Germany and Sweden love clean, renewable power; cars powered by those plants would be a good choice. China and India, almost entirely powered by coal, could face environmental disaster if they added the burden of transportation to their electricity needs. As cleaner and more renewable sources of electricity come online, this situation will change. As demand for EVs grows, so will the demand on the power grid. Current predictions estimate that vehicle electricity consumption will grow 300-fold by 2040 to about five percent of total global consumption. It is hoped that the family car will drive demand for household electricity generation like solar panels and reduce demand on the open market. Then there are the batteries themselves. 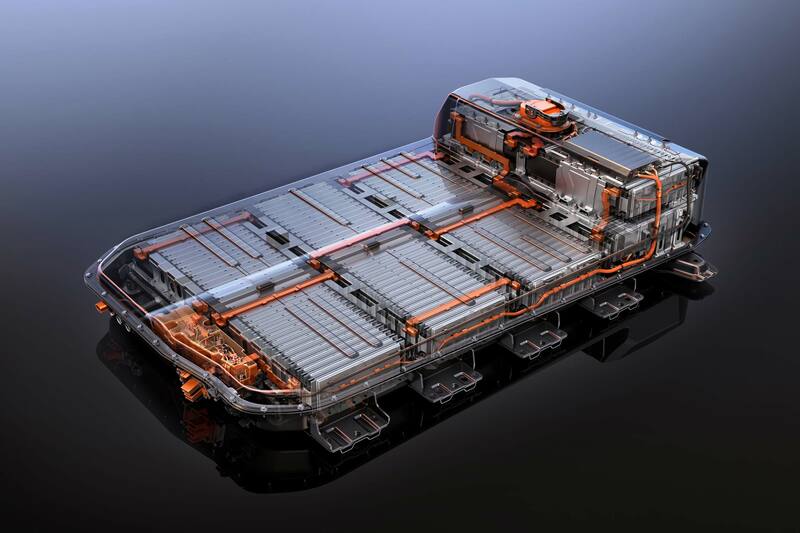 Two popular models, the Tesla Model S and the Chevrolet Bolt, carry about half a ton each of lithium-ion batteries, an estimated 30-40 percent of the total cost of the vehicle. Tesla alone, should it succeed in ramping production up to 500,000 cars per year, says that it “will require today’s entire worldwide supply of lithium-ion batteries.” At the current five-year estimate for EV demand growth, battery production will have to increase at over 20 percent per year. There is no magic bullet to cleaning up the transportation landscape. We need many solutions to solve many problems. 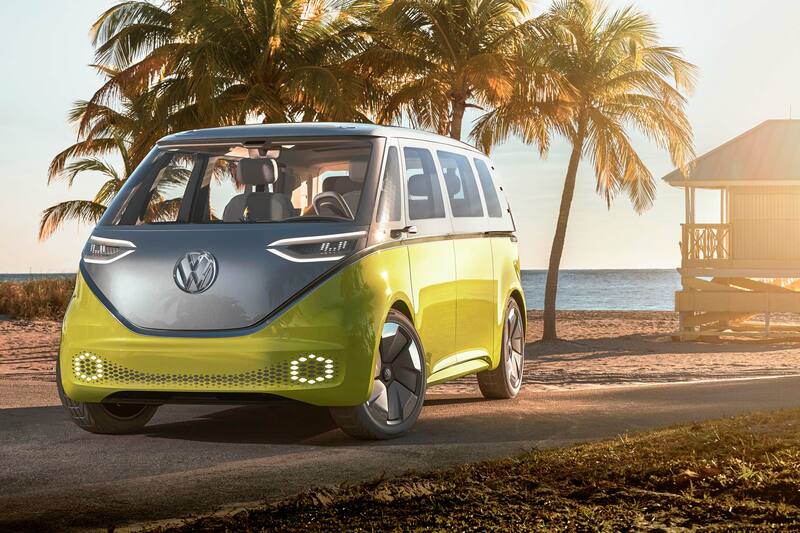 Volkswagen announced in early October t2018 hat it is moving ahead with its I.D. electric vehicles. Four concepts have been presented, the I.D., the I.D. Crozz, the I.D. Buzz (shown here) and the I.D. Vizzion. 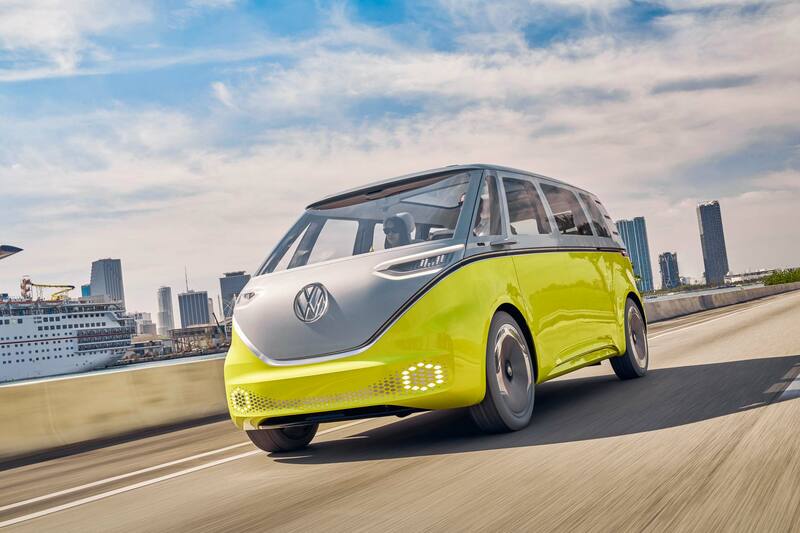 The family will ride on VW’s modular electric drive architecture (MEB), designed specifically for the group’s electric vehicle program. MEB takes advantage of electric drive and extends the wheelbase while reducing overhangs, allowing designers to create larger and more versatile interiors. The architecture will be used with all new EVs in the Volkswagen Group—Audi, SEAT, and Skoda—creating economies of scale and lowering consumer prices. 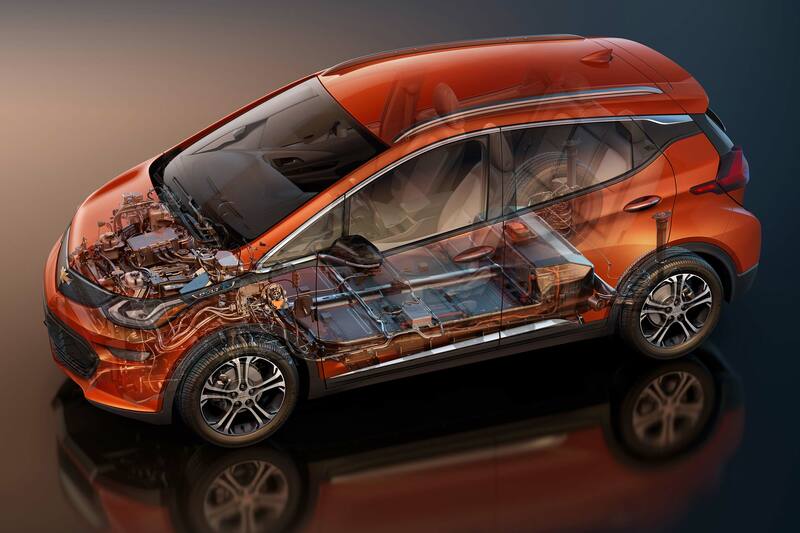 The company says that designs are virtually complete and contracts with battery suppliers have been signed; the first vehicles have been announced for 2020. The first target is 100,000 I.D. vehicles in the first year, with a total of one million by 2025. If they all look as good as the Buzz, there should be no problem. We look forward to seeing the production models. Tesla has single-handedly made EVs the sexiest vehicles in the the universe. A deft combination of exclusivity, luxury, and technology made battery power unquestionably cool and desirable. 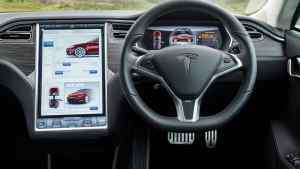 The Model S has a Ludicrous mode that allows it to eat 700 horsepower muscle cars for lunch. The Model X has falcon doors and looks like a spaceship about to fly away to play Baccarat with James Bond in Monaco. Then there’s this: the new Roadster, scheduled for 2020 (we shall not remark on Tesla production schedules here). The fact that it’s a green vehicle is entirely irrelevant when faced with its measurements: zero to 60 in under two seconds, and a top speed of over 200 mph. There are three motors, one in the front and two in the rear, and a 200 kWh battery pack gives range of over 600 miles. Ye gods. Sign us up! Pricing is expected to start at over $200,000, with the initial release costing over $250,000.